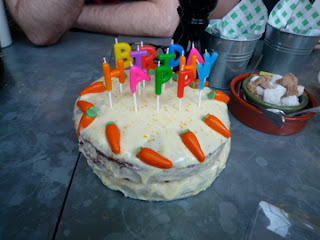 And yesterday was the 23rd birthday of a very special lady - a lady who is allergic to lactose! 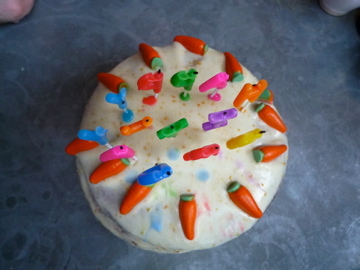 So, for her birthday cake, I made a carrot cake. 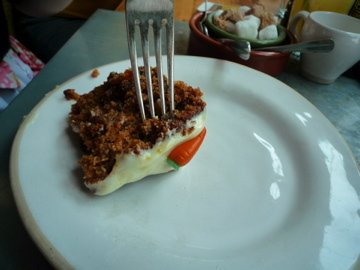 Instead of using butter I used vegetable oil and for the topping, I used lactose free cream cheese from Arla - http://www.lactofree.co.uk. I could have used Arla's lactose free butter but I opted for a more creamy topping slightly runnier than usual, which made the cake super moist! Everyone LOVED it! Here's some photos! Soon I'll be making a Gluten free cake and a nuts free cake - watch this space!